Roussette – is a French white wine grape grown in the Savoy region. The Roussette is among the French white wine grapes popularly grown in the Savoy region in France. It was said to be very familiar to the Furmint grape, though this theory was later discarded after the tests failed to prove so. 50% of Roussette is permitted to be used in the blending of the Chardonnay wine. The wines made are produced without exposing them to oak barrels. Roussette is known by a number of names all over the world like Altesse, Arin, Petit Maconnias and many more Roussette grape mainly produces high quality dry wines. Sparkling wines can also be made from this grape due to its peculiar flavour and high acidic level. The wines made are known all over because of its aroma. Varietal wines as well as blended wines are made from the grape. They have a very pleasing taste. They also taste well on aging. The buds are plucked in the late reason when the berries of the grape start to show traces of red colour. The yield of this variety of grape is not very high and so many farmers avoid the plantation of this grape. This has led to a decline in the number of plantations while its resistance to rotting has made it favourable but is still not being grown in a huge area. Tourists and lovers of highly acidic wines are mainly attracted to this wine. The sparkling wines made from the grape as also very premium. There are a number of claims when it comes to going back to the origin of Roussette. The most probable claim is of the French. There were about 300 hectares of Roussette in the year 2000. It is also believed it came in the time of Cyprus. But there is no proof which can lead us to the direct origin of the Roussette grape. And so Roussette grape also falls in the category of wines with confused origins. 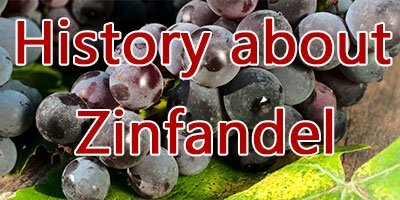 There were many allegations about the variety being exactly similar to some other grape variety, but DNA tests made of this grape have confirmed that there was no such relation between the grape varieties. The grape productivity has gone down due to its flaws in yield and upcoming of better substitutes of the grape having a much higher yield and the same features as Roussette. The berries of Roussette ripen in late season. Yield of the grape is also less. Berries of this grape have a strong resistance to grey rot. They have exotic aromas and high acidity level. The aromas are a mixture of herbs and citrus fruits. With taste, Roussette grape wine gives flavours of bergamot, almond and hazelnut. They taste well on aging. When the berries of Roussette get ready for being harvested, they show a slight reddish tinge. Experiments are now being made to improve the yield of the crop so as to increase the cultivation and production of wines from the grape. The grape can give out great flavours if it is used in the right way and in the right quantity. The taste can be enjoyed both young and aged. There is no exposure to oaks and so the original taste of the grape is maintained. The grape plantation was very high in the earlier years and the same number needs to be brought back to maintain the uniqueness of the wines made from the grape. Roussette grape wines can be enjoyed best with Thai green curry. They have a high acidic level, which makes it ready to be consumed with a number of dishes. It can also be taken with Raclette cheese.Salted vegetables and mushroom salad are also said to go along with the taste of the wine very well. Peanuts and cheese balls are also taken with Roussette grape wines. This grape variety is among the premium varieties grown in the region. There are varietal as well as blended wines made from it. You can choose and of them and have a glimpse of the taste of the grape. You can get these wines online or in any of the wine stores in the Savoy region in France. It is among the best white wines with high acidic level.